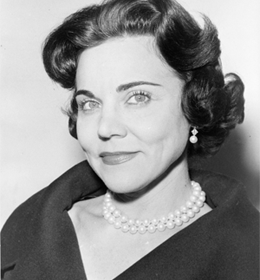 AnnLanders.com - Dear Ann Landers: You once printed an essay about how to raise your children to be losers. You once printed an essay about how to raise your children to be losers. I thought it was one of the best I've seen on the subject. With the terrible trouble teenagers are getting into these days, and with more of them in juvenile detention centers than ever before, it might be a good idea to run it again. -- Schenectady, N.Y. Thank you for asking. I printed that essay in my column many years ago and was told it was prepared by the police department of Houston. Here it is, for those who may have missed it: Twelve Rules for Raising Delinquent Children 1. Begin with infancy to give the child everything he wants. In this way, he will grow up to believe the world owes him a living. 2. When he picks up bad words, laugh at him. This will make him think he's cute. It will also encourage him to pick up "cuter" phrases that will blow off the top of your head later. 3. Never give him any spiritual training. Wait till he is 21, and then let him "decide for himself." 4. Avoid use of the word "wrong." It may develop a guilt complex. This will condition him to believe, later, when he is arrested for stealing a car, that society is against him and he is being persecuted. 5. Pick up everything he leaves lying around -- books, shoes and clothing. Do everything for him so he will be experienced in throwing all responsibility onto others. 6. Let him read any printed matter he can get his hands on. Be careful that the silverware and drinking glasses are sterilized, but let his mind feast on garbage. 7. Quarrel frequently in the presence of your child. In this way, he will not be too shocked when the home is broken up later. 8. Give a child all the spending money he wants. Never let him earn his own. Why should he have things as tough as you had them? 9. Satisfy his every craving for food, drink and comfort. See that every sensual desire is gratified. Denial may lead to harmful frustration. 10. Take his part against neighbors, teachers and policemen. They are all prejudiced against your child. 11. When he gets into real trouble, apologize for yourself by saying, "I never could do anything with him." 12. Prepare for a life of grief. You will be apt to have it.